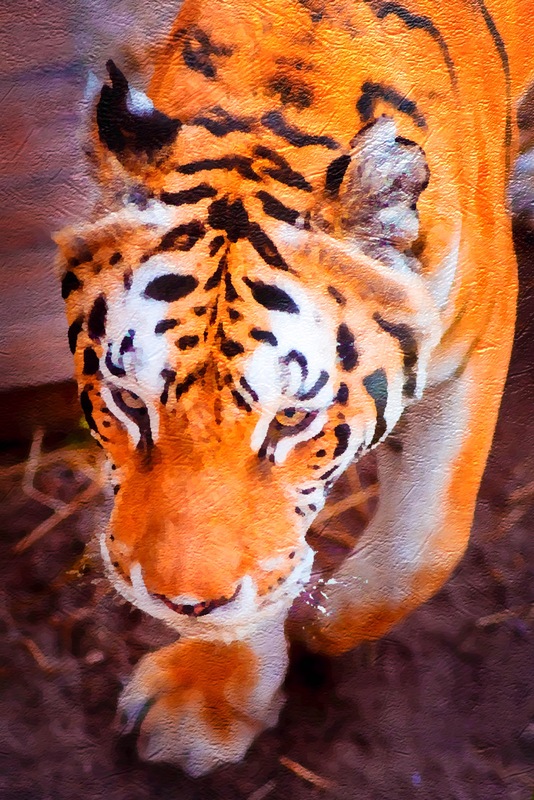 Join Us at Disney’s Animal Kingdom on Friday! Liesle and I decided to stop into Disney’s Animal Kingdom this coming Friday for an afternoon visit, and as usual, we’ll be following a RideMax plan and doing some live tweets and Periscope broadcasts from the park. We love meeting RideMax customers in person, so if you have a free afternoon and are in the Orlando area, feel free to join us. Otherwise, you can follow along on the feeds I’ve linked above. Our goal for Friday’s visit isn’t to do another round of RideMax Roulette, but to simply visit a few of our favorite attractions, as well as to check out the new Zootopia exhibit scheduled to open on Friday. 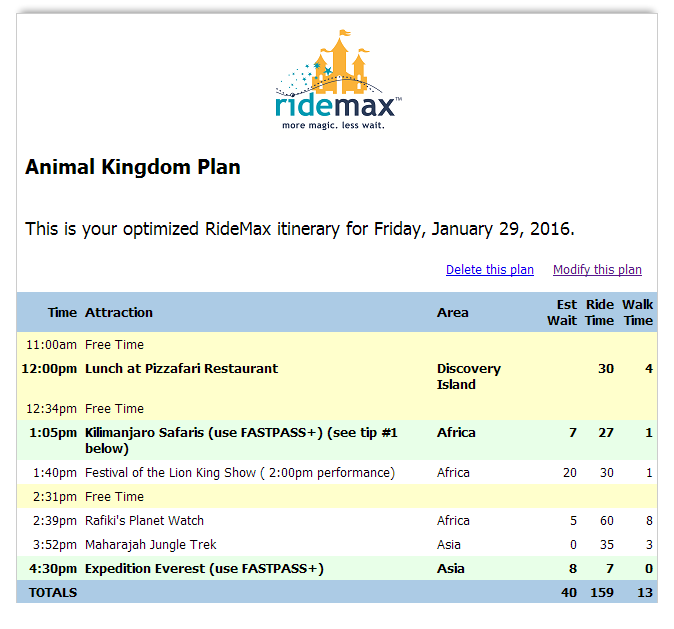 As you can see, a handful of attractions like this isn’t exactly a “stress test” of RideMax. But it does illustrate that the software is handy for mapping out a casual visit like this, just as it is for planning a much fuller day. The activities that have “fixed” starting times in the plan are the lunch break and the Lion King show, and it’s nice having RideMax figure out how to visit these, mixed in with the other attractions, in such a way as to minimize walking and waiting, rather than having to map it all out ourselves. I’d also hate to risk missing out on Festival of the Lion King if the day got away from us and we happened to forget the show’s starting time. Since this is an afternoon visit and we won’t be able to take advantage of low rope-drop crowds, it seemed pretty obvious that we’d want to use FastPass+ for Expedition Everest and for Kilimanjaro Safaris, so I also plugged those choices into RideMax. You might notice all the “free time” at the top of the plan and wonder what’s up with that? I originally told RideMax we’d be willing to start at 11:00am and go until 4:30pm, but the software was basically able to fit everything in after lunch, so it turns out we don’t need to arrive that early. I actually expect us to arrive for lunch at about 12:15 and go from there. If you have some time Friday and want to join us in person, feel free to get those FastPass+ reservations lined up as outlined in the plan above. (We also secured FastPass+ reservations for the 2:00pm Lion King show, though I doubt we’ll really need them.) And of course, if you can’t come in person, feel free to follow along on Twitter and Periscope.